This post is a collection from docs, links, code examples which I found on various blogs, websites etc. I have included the references to all my sources. Thanks for all the cool blogs, websites and of course SQLite which made it so easy to get started with this database. Locks whole file for writing. No caching mechanism of it’s own. Database size restricted to 2GB in most cases. As the database is a file, it needs to be added to the project and deployed if newer. You must be careful here when deploying to productive systems. Here’s the source code, thanks to brice-lambson.blogspot.ch for providing this example. Thanks, Himans. IMHO, better samples for minimize learning curve are real applications with full source code and good patterns. 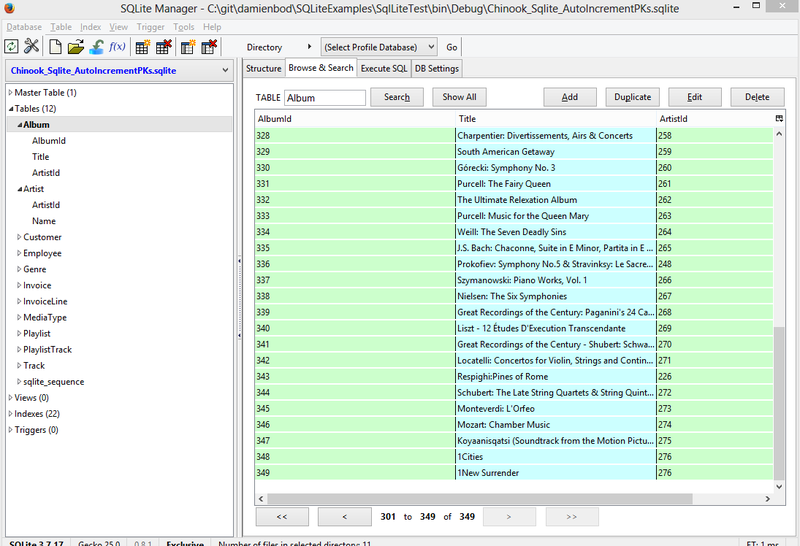 Maybe full samples step-by-step in 20 minutes with SQLite, the best Getting Started? Great reference, Damien. Thanks a lot. Any updates in aug 2014 ? IMHO, better samples for minimize learning curve are real applications with full source code and good patterns. Working together with http://blog.kurtschindler.net/getting-started-with-sqlite-and-net/ ?